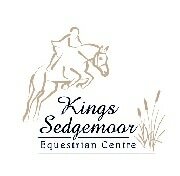 The South Wales and West of England Riding Club Championships were run for the first time in August 2016, with teams of riders from BRC clubs in Areas 9, 12, 15, 18 and 19 competing in Riding Test, Prelim Dressage, Style Jumping and 80cm Show Jumping. Whilst competing at Lincoln at the National Championships is fantastic, only a small number qualify and it is a long way from our region. The aim of this competition is to provide an opportunity for more members to experience the Championship atmosphere. Following the success of the first Championships, we are delighted to announce that it will be repeated in 2017. ​Qualification is via Area Qualifiers in the Summer, and each Area may choose to accept entries in the relevant disciplines just for the SWWRC Championships, without the need for Prelim entries for the Lincoln National Championships. (Check with your Area if this option is available). All teams in each of the 4 competitions are eligible for the SWWRC championships, but will not include the teams which actually qualify for Lincoln.